Sokka from Avatar: The Last Airbender. Photo courtesy of Google Images. 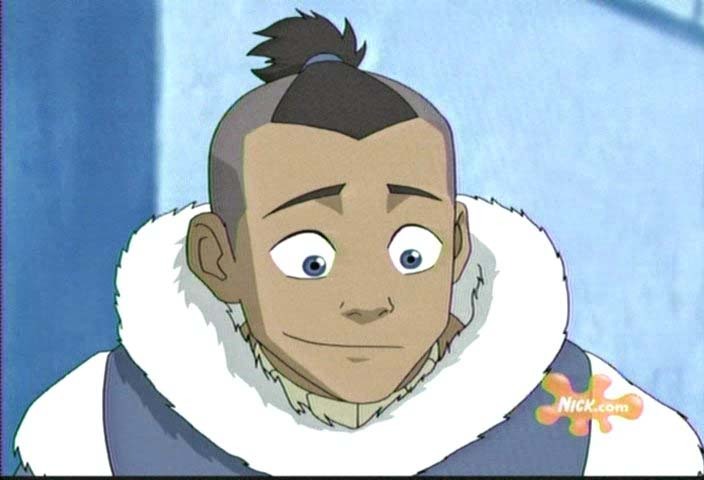 Nothing is worse than the feeling of not being seen, like going to school the day after a new haircut and no one mentioning it—except maybe someone telling you that your haircut makes you look like the guy from “The Last Airbender.” That would be worse. That was also my first reaction to seeing a man bun, which I still sort of feel bad about. To be fair, man buns weren’t really there until 2014, going from being seen only on tattooed baristas to being seen pretty much everywhere. But why? It’s hard to say. Like most trends, it appeared out of nowhere and will eventually get big enough for everyone to get tired of it and then disappear forever, and no one will really know why. Part of the reason for the trend is probably that a man bun is what an undercut looks like when grown out, but less awkward. Everyone who has a man bun now probably had a high and tight two years ago. To be fair, the contrast of the almost buzzed sides and the length of the top does look unnatural as it grows and the man bun is one of the better solutions. Maybe it could be another vaguely appropriative trend, basing itself on the topknot, a traditional Asian haircut, as seen on Buddha and the Samurai. It could also just be the fact that buns don’t take that much time to make and still look pretty okay. No one really knows the exact reason, because these things mostly just kind of happen. However, the man bun hasn’t always been the same, following the pattern of most other styles. Towards the beginning, it was mostly an undercut tied back instead of pushed forward, short on the sides with the top allowed to grow out. Either because of widespread appeal or because people’s hair just started to grow fuller, longer buns began to also be called man buns. In terms of appearance, they are near identical to buns on women, but they’re called man buns because, otherwise, there’s no way men would actually wear them. The buns suit the visual identity of an Urban Outfitters catalogue, which for the most part fits the aesthetics of a wearer of the man bun. That’s probably part of the reason people are so split on man buns, as an opinion on man buns is also an opinion on the larger cultural identity they represent. Around half of the people I talked to thought man buns were a great idea, both on other people and on themselves. However, those who did not like the man bun really did not like the man bun. Either they were uncomfortable with the appropriative nature of the bun, or they just thought it looks kind of stupid. Or both, actually. Although the man bun is in decline, having peaked around half a year ago, I still counted about six of them in the past two weeks. This makes man buns a little relevant—but, sadly, it’s mostly downhill for them.